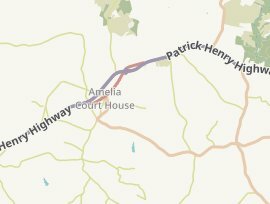 There are currently 3 branches of 3 different banks in Amelia Court House, Virginia. Citizens Bank and Trust Company has the most branches in Amelia Court House. The top banks in Amelia Court House with most branches are; Citizens Bank and Trust Company with 1 office, Wells Fargo Bank with 1 office and BB&T Bank with 1 office. We have also located 6 bank offices in nearby cities within a radius of 15 miles from the city center of Amelia Court House. You can click the branch names from the list or the map below to view office hours, phone numbers, driving directions, bank ratings, reviews and available banking services.